The Independent Commissioner Against Corruption (ICAC) has recently released its latest annual report. A continuing theme of the Commissioner’s reports is the misuse of private email accounts to transact official business. 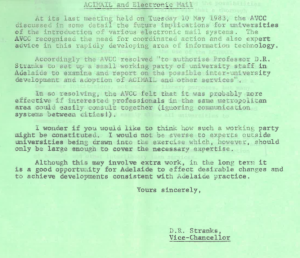 In light of the ICAC annual report, the University’s Legal and Risk team have posted its blog “ICAC hones in on private email accounts – again”. As all University staff have recordkeeping responsibilities we encourage you to read the Legal and Risk blog and take note of the advice provided. The Australian National Audit Office (ANAO) has recently released (June 2018) a performance audit report regarding the integration of two Commonwealth agencies. Of the three recommendations made by the ANAO as a result of its audit, Recommendation 1 states the new integrated agency needs to give priority to addressing its records and information management deficiencies. In light of the ANAO report, the University’s Legal and Risk team have posted its blog Want to Work More Efficiently? Record Your “Stuff” Properly and Regularly. As all University staff have recordkeeping responsibilities we encourage you to read the Legal and Risk blog and put into action the provided recordkeeping tips. And remember, UniARK is here to assist. 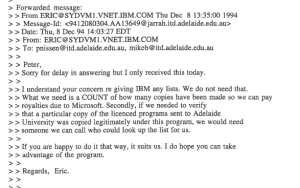 It is not unreasonable to say that the Barr Smith Library was a leading player in advocating for a consistent electronic mailing system across the university sector. 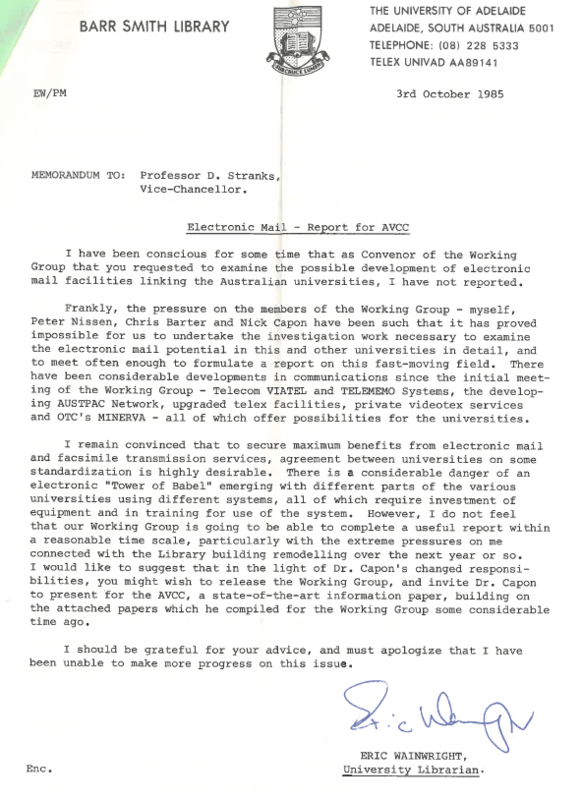 In 1982, University Librarian Eric Wainwright contacted Vice-Chancellor (VC) Donald Stranks to inform him that the Library had been experimenting with an “online message-switching service” called ACIMAIL which was being used by eleven other Australian universities. 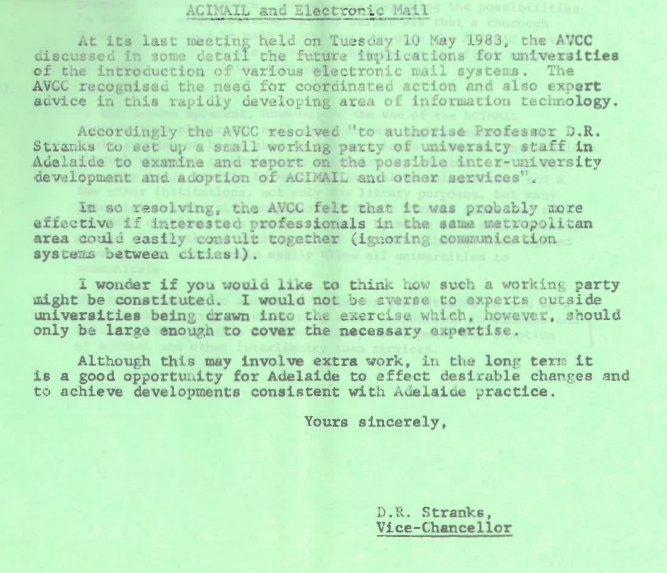 After some months of exchanges regarding potential use of the system at UofA and comparisons with other options, Wainwright suggested to the VC that the matter be raised with the Australian Vice-Chancellors Committee [AVCC] as there would “be economies through some agreed developments which would easily allow all universities to communicate”. 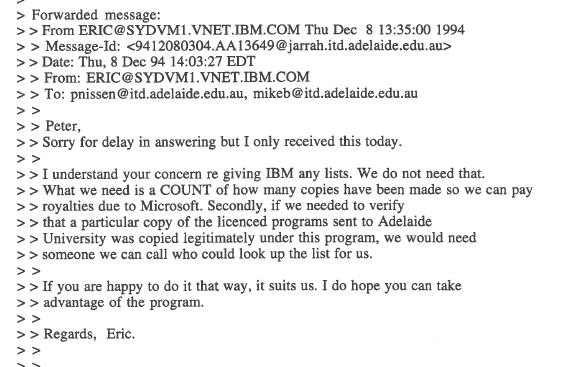 After many years of ad hoc usage, in 1993 Lotus cc:Mail was chosen as the standard for staff email, but was not used consistently as the attached email examples indicate. 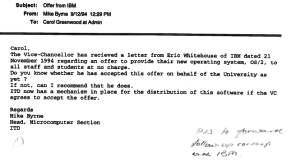 In 1994, the AVCC Deputy Secretary enquired (via email) if the University could provide a copy of any policy or guidelines regarding email use. 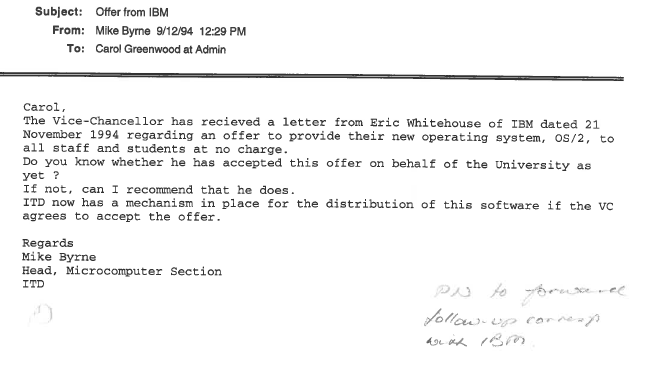 A response was sent indicating that email regulations were included with the Rules for Student Use of University Computer Facilities that had been issued in 1990. 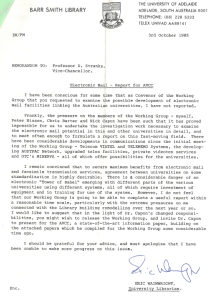 University Archives Volunteer Group Wins Vice-Chancellor’s Award!